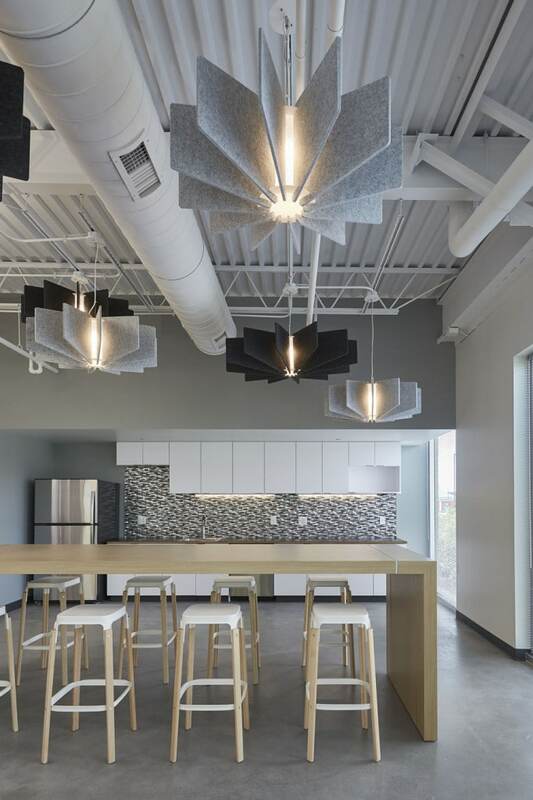 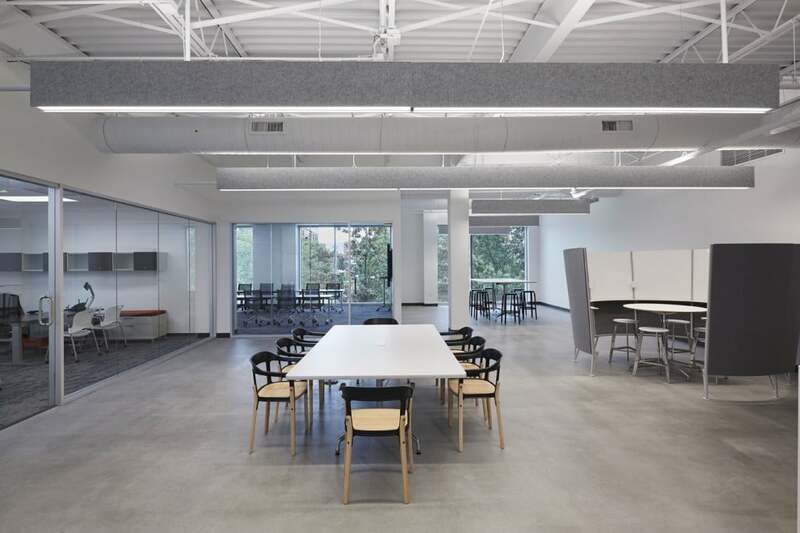 VF Corporation, a worldwide apparel and footwear company came to HagerSmith with one specific goal in mind: to build a small but mighty office on Centennial Campus at NC State University. 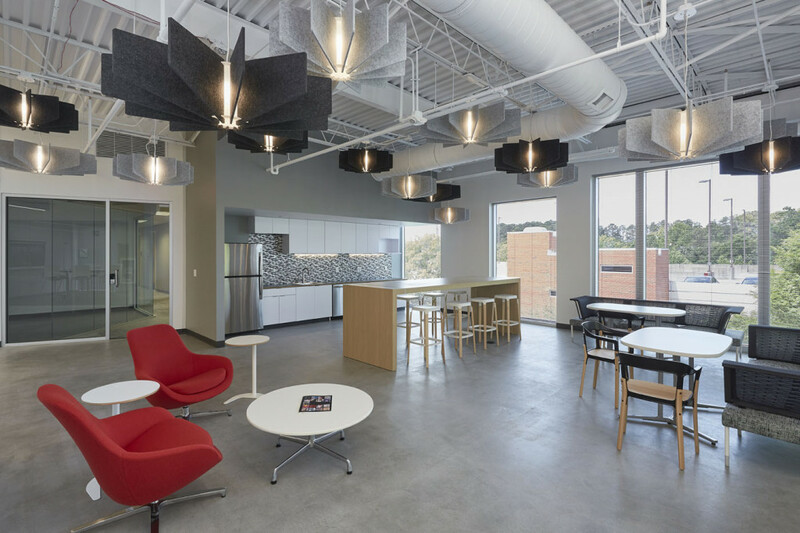 This office would be used to attract future NC State graduates as potential employees with companies under VF’s umbrella (such as Vans, North Face and Timberland to name a few). 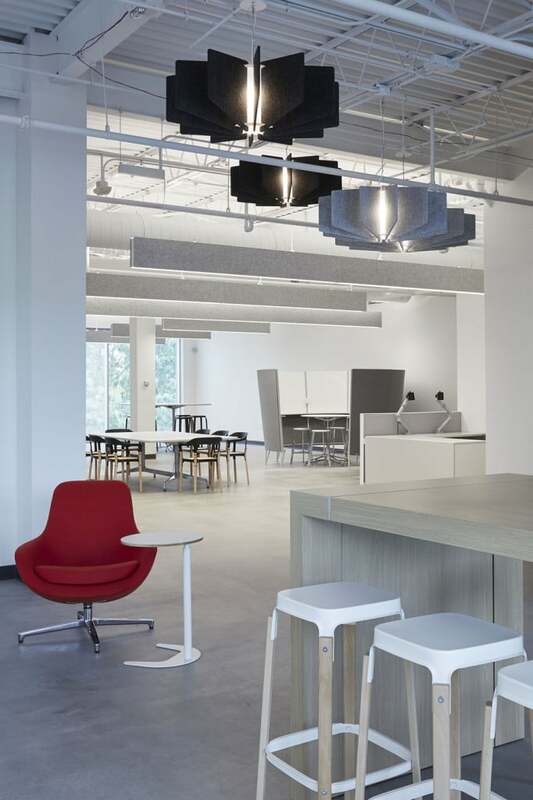 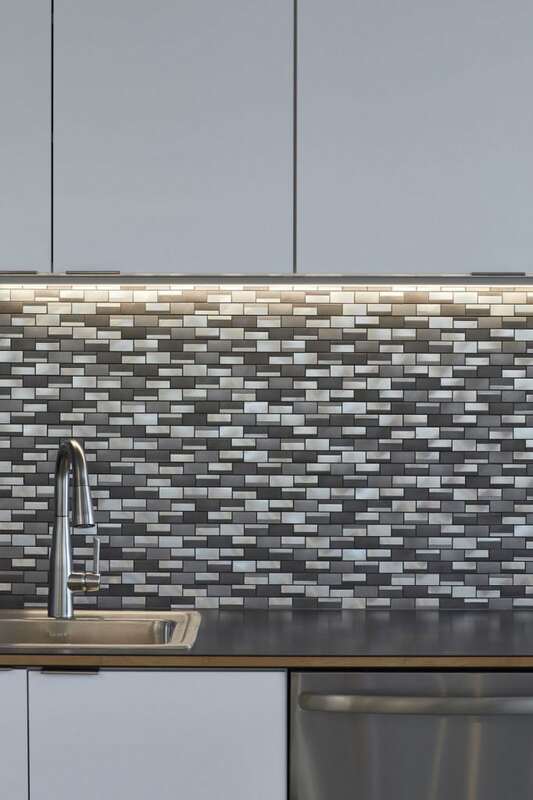 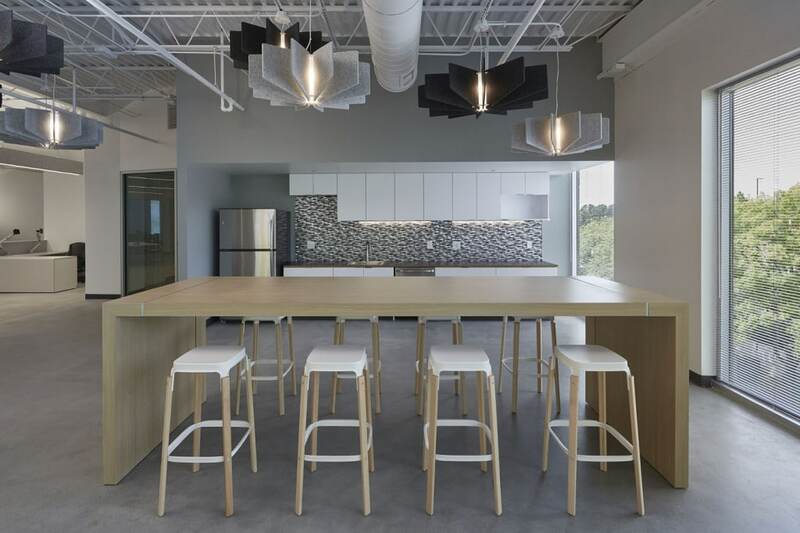 The simple and clean lined space boasts modern furniture and lighting as well as cutting edge technology; not only attracting young talent, but also keeping in line with the company’s progressive thinking.